Two movies on the same theme, Nordic Resistance, yet how different their tone. 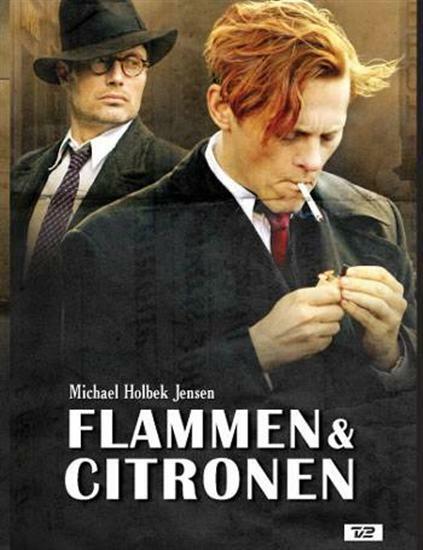 While Max Manus (aka Frihedskæmperen Max Manus) is a hero story with tragic and uplifting moments, Flame & Citron (aka Flammen & Citronen) is depressing and full of angst. Both movies are based on true stories and illustrate aspects of lesser known WWII history. 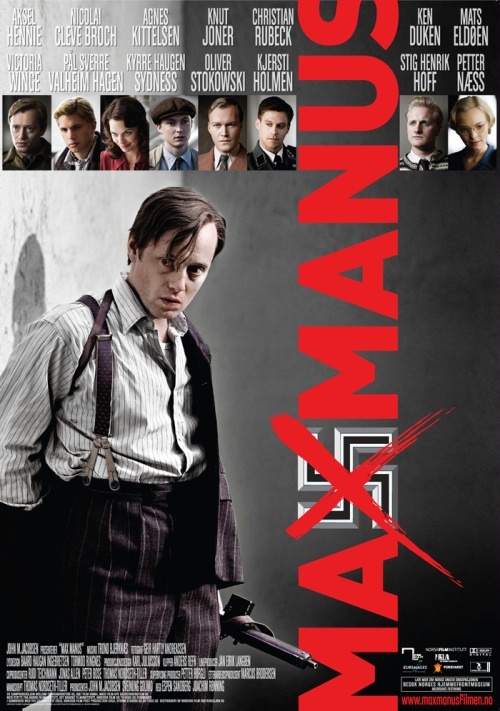 Max Manus tells the story of the Norwegian saboteur Max Manus and his resistance group. After having fought in Finland against the Communists he joins the norwegian resistance. They fight the Nazis very effectively by blowing up supply ships, stealing documents and shooting people. They are hunted down by the Germans and many lose their lives, only Max escapes miraculously every time which fills him with survivor’s guilt but at the same time gives him an aura of invulnerability. Flame & Citron is the story of two very famous Danish Nazi assassins. Where Max attacks mostly buildings and objects, they shoot Nazis and their allies, mostly execution style up-close.Early on it is evident that this weighs heavily on their conscience. Especially Citron has a hard time to kill. At one time Flame says: “I almost forgot we are not shooting people but Nazis” as if to take the humanity away from the enemy makes the deed easier. Here lies their problem and this is very obviously the source for the depressing heaviness of this film. We watch two good people doing very bad things although for a just cause. After a while they really doubt that what they do is right. But worst of all they can´t trust anyone and see themselves surrounded by double agents and traitors. Like the more famous Black Book (aka Zwart Boek 2006) these movies show that there was very effective resistance in the Northern European countries, like the Netherlands, Denmark and Norway. It seems as if it took those countries quite a long time to tell their own story. All three movies are in original language with subtitles. They are all convincing. Black Book ist the most entertaining, Max Manus is thoughtful and uplifting but I liked Flame & Citron best. I found it the most honest. The pictures are very beautiful and apart from that the acting is great. Mads Mikkelsen (King Arthur) as Citron is just brilliant and so is Thure Lindhardt as Flame. This entry was posted in Actors, Resistance, Reviews, WWII and tagged Flame & Citron, Mads Mikkelsen, Movies, Nordic Resistance, War Movies, WWII.